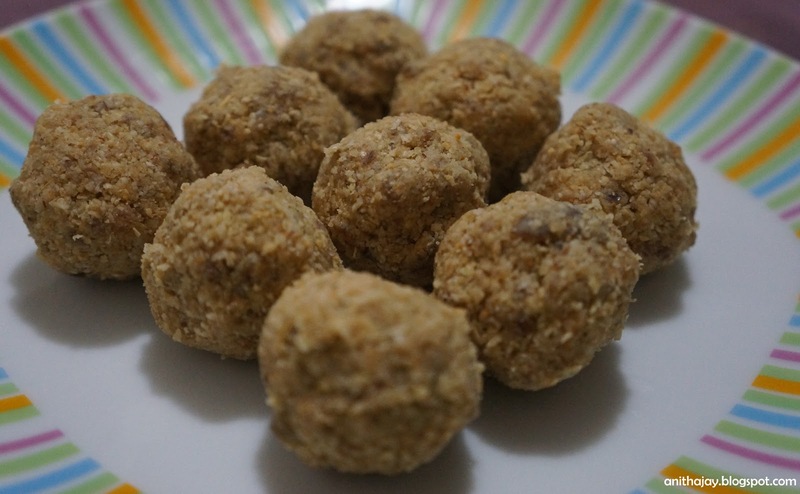 I always bored to take a Dates as it.So i add dates in milkshake and in some other form.In my pantry last cup of oats sitting for long time.To empty the pocket i tried this laddo and come out very well. Very tasty and healthy laddo. Dry roast and powder the oats in a blender. Powder the nuts and make a paste of dates. Mix the above ingredients and make a ball using ghee or oil. Tasty and Healthy laddo ready to serve.